Whether you’re looking to purchase blinds and shades to simply eliminate outside light, or you’re looking for window treatments that will complement your home’s décor, there’s a good chance you have a strict budget for this purchase. While the majority of blinds and shades are relatively inexpensive, the cost of outfitting an entire home or several rooms with new window coverings can add up. At Blindster, we know that all of our customers have different needs and wants, both from a style and a budget perspective. While we always recommend our highest-quality window coverings for homeowners, they don’t always fit in everyone’s price range. 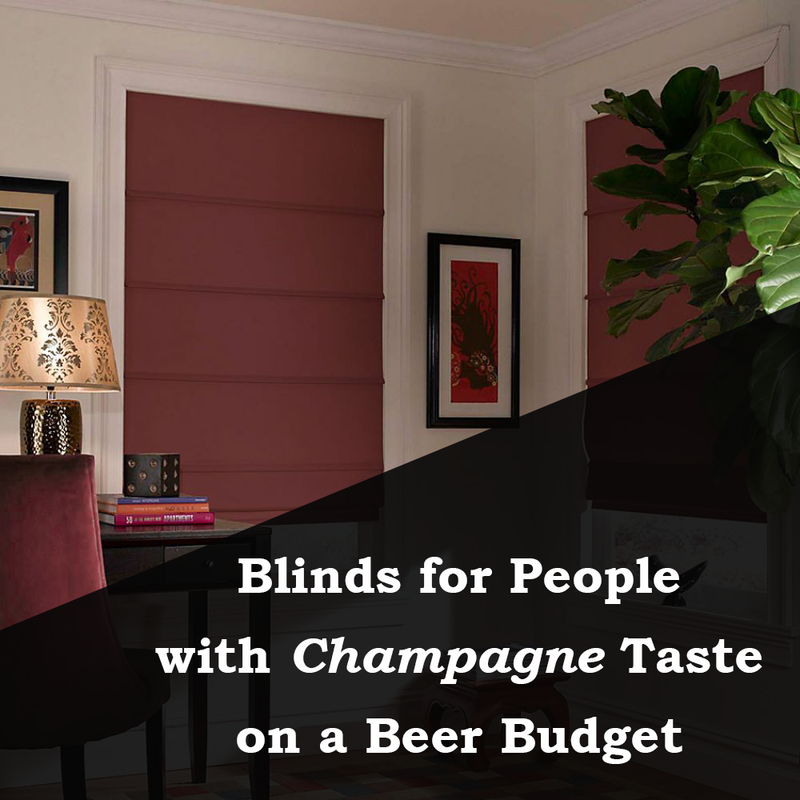 Thankfully, there is a large variety of lower cost blinds and shades that feature all the elegance, style, features, and options you expect from more expensive options. No matter what room you install them in, wood blinds always convey elegance and classic charm. They’re also highly versatile from a décor standpoint, as they effortlessly complement almost any type of furniture, decorative color scheme, and window type. Our 2” Premium Wood Blinds are among our bestselling window coverings due to their affordable price and their natural wood grain beauty, and they’re available in 35 distinct colors, including Sugar Maple, Oak, and Pecan. In addition to their striking looks, these blinds are also highly effective at insulating your home during the winter and summer. 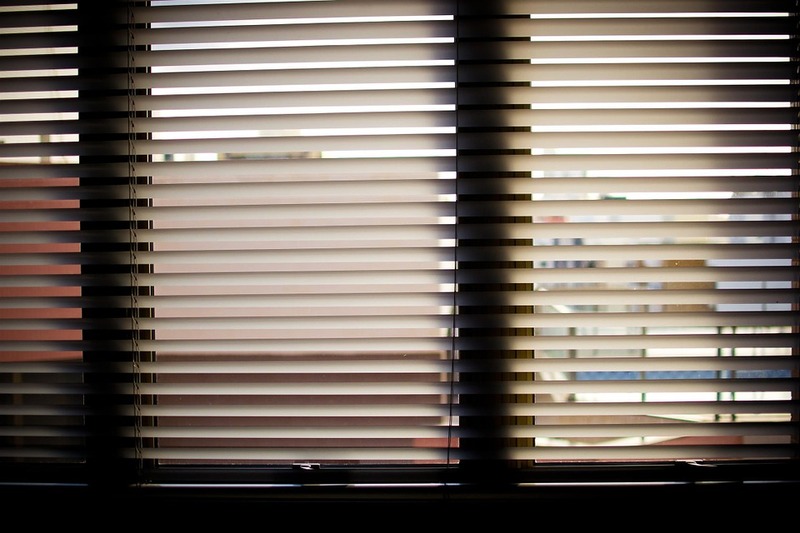 Aluminum blinds are among the most commonly used window coverings in the world, and for good reason—they’re efficient at blocking out light and very affordable. Our 1” Aluminum Blinds feature a low-profile, minimalist design, and are available in 13 distinct colors, such as Porcelain, Snow, Brushed Aluminum, and Matte Black. Get them custom cut to fit windows up to 96” wide and 126” high and enjoy blinds that will last for years due with their baked enamel paint and scratch-resistant aluminum slats. The best way to describe our Super Value Roman Shades is luxury on a budget. Roman shades are traditionally one of the most elegant and eye-catching varieties of window coverings, and the cost can reflects that. However, this particular shade is affordable without sacrificing quality or appearance. Its thick fabric makes it ideal for insulating your home from the harsh temperatures during the winter and summer, which means it’s also highly effective at reducing your electricity bill and keeping your home at its most comfortable 364 days a year. Choose from nine unique colors when placing your order, including Pecan, Camel, and Burgundy. Shades designed to block out virtually all outside light are perfect for game rooms, home offices, nurseries, and bedrooms, but outfitting several rooms with blackout shades can sometimes stretch budgets. Our Deluxe Room Darkening Fabric Roller Shades are the ideal solution for homeowners who want the blackout effect from their shades, but have a strict budget for their window coverings. These shades are designed to block out between 90 and 99 percent of outside light depending on the color of the fabric you choose, which includes options like Ivory, Charcoal, and Chocolate. Who says options and features mean a hefty price tag? As the name suggests, our Deluxe Cordless Top Down Bottom Up Cellular Shades are jam packed with features. They are highly adaptable and perfect for rooms where you need both privacy and natural sunlight at the same time. Best of all, these features are available for these shades at no extra charge. With an insulating R-Value of 3.4 and ½-inch honeycomb construction, these shades are as effective at retaining cooled or heated air, as they are versatile in both form and function. Due to their complex manufacturing process, sheer shades can be some of the most expensive window treatments on the market, but our Horizontal Flat Sheer Shades are designed to fit both your home and your budget. These window coverings combine the form and function of a roller shade with the versatility and light diffusing qualities of a sheer shade. Enjoy soft, beautiful, and filtered light in your home when the shades are open, and world-class light control and privacy when they are closed. In addition, you can also choose from colors that enhance the light filtering qualities, such as Natural, Grey, and Beige, as well as colors that enhance the blackout qualities, including Coffee, Brown, and Light Brown. Whether you’re searching for shades that are eco-friendly, stylish, or simply great at blocking out light, you can’t go wrong with our Deluxe Bamboo Shades Group A. Despite being one of our most inexpensive bamboo shades, this window covering lives up to its “deluxe” reputation. Its construction process utilizes real bamboo and reeds, while also offering a huge variety of colors to choose from, including Mirabella Tan, Franca Cherry, and Elisa Mahogany. Add a blackout liner for extra privacy and light control and custom order your bamboo shades to fit windows up to 96” wide and 120” high. Shades aren’t always about blocking out the maximum amount of light. For many homeowners, they’re more about reducing glare without spoiling the view of the outdoors. If that’s your idea of the perfect shade, you’ll love our Deluxe Solar Shades 5% Open. Not only are these shades affordable for almost any budget, but they’re also capable of eliminating 95% of the sun’s harmful UV rays. The open nature of these shades also means that you’ll still be able to enjoy the appearance of your outdoor areas, without harsh sunlight in your eyes. Get these shades custom cut to fit large windows up to 144” wide and 108” high, and choose from colors like White Linen, Brown Chocolate, and White Pearl when you place your order with Blindster.